Beginning Friday, June 19, about 70 award-winning barbequers from across the nation will compete for even more accolades at Frisco’s Colorado BBQ Challenge. Frisco’s Main Street streams with music, people and the oh-so-tempting smell of fresh barbeque. The pre-party begins Thursday night, June 16, from 8-9:30 p.m., with music on the main stage, located right in the middle of Main Street, at the cross-section of Madison Avenue. Fela Kuti Tribute, featuring members of The Motet and Euforquestra, blends two favorite Colorado bands. Together, they pump out timeless tunes by Fela — the funkiest African superstar — with funk, house, disco and electro-rock rhythms. FRIDAY: At 1 p.m., Frisco’s musical stage amps up again, beginning with the 101st Army Rock Band. Yes, you heard that right: For an hour, this government ensemble cranks out a high-energy rock ’n’ roll infusion of hits from the 1970s through present day. Between 4-5:30 p.m., Ronnie Baker Brooks brings his blues-funk-rock, merged with modern hip-hop vocals, to the stage. He has collaborated with Prince and Janet Jackson. Then, from 6-8:30 p.m., the 2009 Blues Music award winner Mike Zito Band headlines with a Gulf Coast style guitar vibe. SATURDAY: The sounds start early; from 10 a.m. to 11:30 a.m., The David Mayfield Parade wakes everyone up with its folksy, bluegrass sound. Mayfield has appeared on “The Late Show with David Letterman,” with his sister, Jessica Lea Mayfield’s band. From noon to 1:15 p.m. MarchFourth brings forth its genre-bending, groove-heavy songs. The band began as a one-off for a Fat Tuesday party in Portland and has since shown how wonderfully weighty it is, playing nearly 200 shows annually. 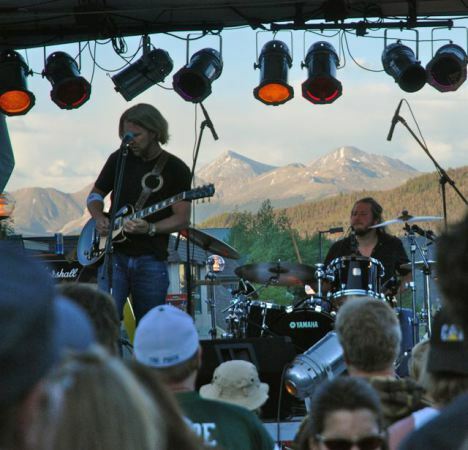 If you like jazz, rock and funk, have lunch at Frisco’s Colorado BBQ Challenge near the stage. From 1:45-3:15 p.m., Great American Taxi takes to Frisco’s Main Street with its Americana music, backed by solid guitar, banjo and vocals. The music ends at 6:30 p.m. with Buckner Funken Jazz (which takes the stage at 3:45 p.m.). Rod Buckner has made a name for himself in the jazz world by fusing old-school funk with be-bop. 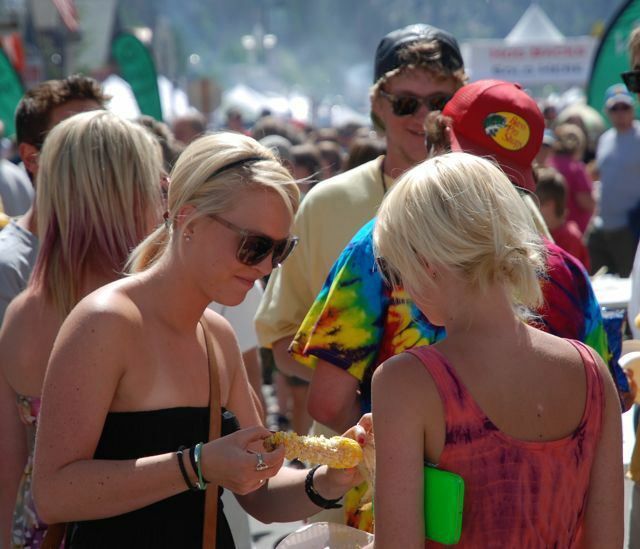 Of course, Frisco’s Colorado BBQ Challenge isn’t really about the music; it’s about the food. You can get your first taste of the competitor’s barbecue at 11 a.m. Friday, up till 9 p.m. 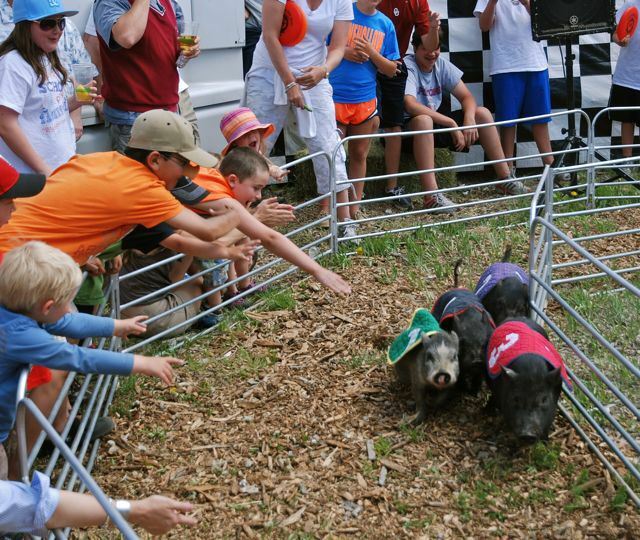 Pig races, a family favorite spectacle, occur five times on Friday at 4th Avenue — just to make sure you don’t miss the little piggies run. See them at noon, 2 p.m., 4 p.m., 6 p.m. and 8 p.m. On Saturday, catch the pigs at 10 a.m., noon, 2 p.m. and 4 p.m.
And here’s something else you don’t want to miss: from noon to 3 p.m., chef David Welch of Food World Hedz Café leads a free chef demo and tasting at the Frisco Historic Park (at 2nd Avenue and Main — you can’t miss the big gazebo). 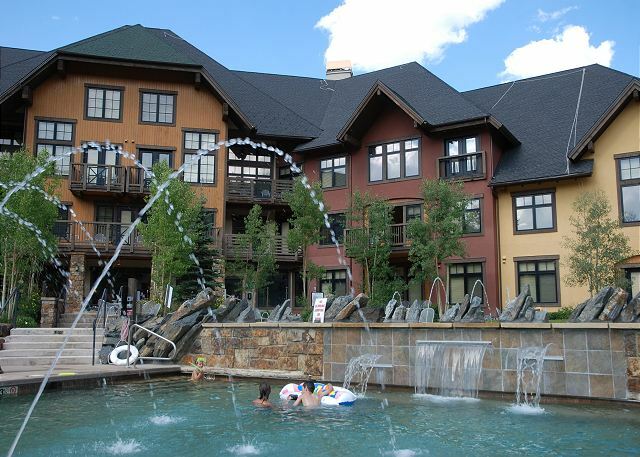 Welch worked his way up the ranks as one of Keystone Resort’s prominent head chefs for decades before opening his own savory restaurant in Frisco. Then, there’s the Bacon Burner registration, from 4-6 p.m. at Frisco Town Hall, on 1st Avenue and Main Street. The actual 6K begins at 9:30 a.m. Saturday at the Frisco Bay Marina and calls runners of all ages to burn off some of Friday’s barbecue. Unfortunately, Friday’s Breckenridge Distillery Whiskey’s Rub It, Smoke It, Sip It BBQ Tour is sold out, but you can always visit the actual distillery in Breckenridge. On Saturday, BBQ ticket sales open at 10 a.m. and close at 6 p.m.
From 11 a.m. to 12:30 p.m. Saturday, the BlueStar Firefighter Cook-Off takes place at Frisco’s Historic Park on 2nd Avenue. The Awards Ceremony for all of those barbecue experts who worked so hard (and lugged so much equipment up to Frisco’s High Country) takes place at 4 p.m. at Frisco’s Historic Park. As Frisco’s Colorado BBQ Challenge winds down, Frisco restaurants rev up with their happy hours, from 6-8 p.m. Saturday. So, whether you like sweet, tangy or tongue-twisting pork, beef, chicken, ribs and other meats (and sides and sweets, like elephant ears), or beer and wine, or live music, or pig races and kids’ games, or simply strolling down Frisco’s lively Main Street, Frisco’s Colorado BBQ Challenge has something for just about everyone.